Advanced Intensives offer continuing education for teachers and advanced students. Each intensive comprises one module of study towards 500-hour Certification or hours of CPD (Continuing Professional Development) credits. Emergency First Aid This one-day course is offered and Certified by the Irish Red Cross. An important life skill and essential as a caring health professional. This course is aimed at yoga teachers, or anyone interested in being able to respond to an emergency medical situation if it should arise. There will be particular emphasis on injuries and critical care relevant to yoga teacher or fitness/ health work. Modules Covered: Intro to First aid, Casualty assessment, Heart Disease, stroke, CPR and choking on adults, Wounds and bleeding, altered Levels of consciousness, Musculoskeletal Injuries, Burns, and Poison. Counts as 8 hours Continuing Professional Development (CPD). Students will receive a Irish Red Cross Certificate valid for three years. Cost: €140 Date: November 2019 Places are limited. A three-day training for teachers and serious students. Thursday 23d, Friday 24th and Saturday 25th May 2019, from 12:00pm to 6:00pm. Learn to teach Restorative Yoga to groups and individuals competently and compassionately. You will understand the important therapeutic applications of restorative yoga and why it is an essential component of a well-rounded yoga practice. Restorative yoga is a powerful practice that transforms stress, regulates emotional imbalances, improves immune function, digestive function, memory and fertility. On this training there will be plenty of practical sessions of restorative yoga combined with theoretical understanding of the latest findings in neuroscience and recent medical studies, which validate the ancient teachings of yoga, meditation and mindfulness to reveal the enormous physical and emotional benefits of restorative yoga. Ciara holds a Masters Degree in Mindfulness-based Psychotherapy. She is Director of the YogaRoom teacher trainings. She is in private practice as a psychotherapist and has taught therapists and counsellors internationally on the therapeutic applications of mindflness and yoga. An ERYT500, her restorative yoga combines her experience of meditation and mindfuless and draws from Judith Hason Lasater and the Iyengar tradition, as well as restorative yoga teacher trainings she attended with Sudha Carolyn Lundeen from the Kripalu institute and Yin yoga with Sarah Powers. Cost €220. For bookings contact (01) 2196666 or e: [email protected] Counts as 22 hours CPD. A three-day training for yoga teachers, counsellors, psychotherapists and other mental health professionals. Learn practical and accessible tools that you can use with groups and individuals to alleviate trauma and symptoms of PTSD, stress, anxiety, addiction and other mental and emotional imbalances. Practical sessions of chair yoga, restorative yoga, mindfulness practices and gentle movement combined. Theory sessions to understand the science of these practical applications through the latest findings in neuroscience and medical studies. 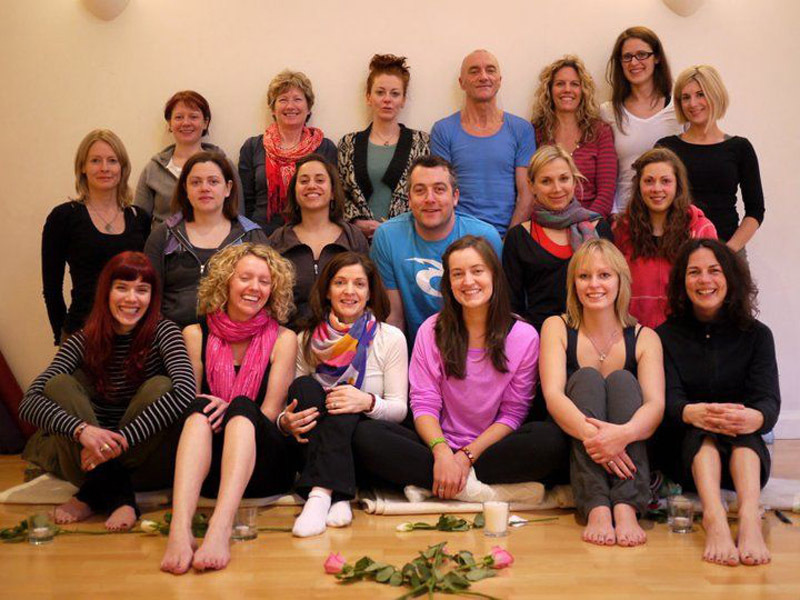 Ciara Cronin is director of teacher training at the YogaRoom. She works in private practice as a mindfulness-based psychotherapist. She also trains therapists and counsellors and works with groups teaching yoga and mindfulness for trauma. In the past three years she has worked in Palestine educating yoga teachers and counsellors and teaching group sessions in yoga and mindfulness for trauma. Dates: Thursday 10th, Friday 11th, Saturday 12th October 2019. Cost: €220. Counts as 22 hours CPD. This weekend will focus on the common traditional roots of yoga and mindfulness. - Understand the therapeutic benefits of mindfulness practices based on the most recent scientific findings. - Enjoy practice sessions of different mindfulness meditation practices and techniques from the yogic and Buddhist traditions. (Including sitting, moving and breath awareness practices.) - Be introduced to the ancient teaching texts that reveal philosophical origins of yoga and mindfulness practice. - Become aware of the subtle body anatomy as it relates to yoga and mindfulness: the five koshas of the energy bodies and the chakra system. An understanding of the mindfulness, as it is understood and taught in both the Buddhist and yogic traditions, can support and resource us as teachers in structuring learning programmes that introduce yoga and mindfulness practices to our students. The findings of neuroscience in the last twenty years are responsible for the massive popular acceptance of mindfulness. The empirical evidence from the many studies that have now been done will be taught to understand the effects and benefits of embodied movement and mindfulness practices on the body, the nervous system, the brain, the hormones, emotions and in our relationships. The studies offer fascinating insights that support what the traditional wisdom traditions have known for thousands of years. Students will gain a thorough understanding of subtle body anatomy as it relates to yoga and mindfulness. Mindfulness and yoga practices must move in a grounded way from the physical to the subtle, including and transcending each level of awareness in an integrated way. The Four Foundations of Mindfulness, the five koshas of the energy bodies, the chakra system and the nadis offer maps to the territory of the subtle layers of the self. We will consider the key philosophical texts related to mindfulness practice; the Sattipathana Sutras and Patanjali’s Yoga Sutras. Other key Buddhist and Yogic principles will provide the philosophical underpinnings to practice modalities, including the Eight Limbs, the Eightfold path, the Four Noble Truths, and the Brahma Viharas. We will also study the evolving wisdom among contemporary Buddhist teachers on relational mindfulness within the contemplative traditions. Wednesday 4th April, 8am - 5.30pm.